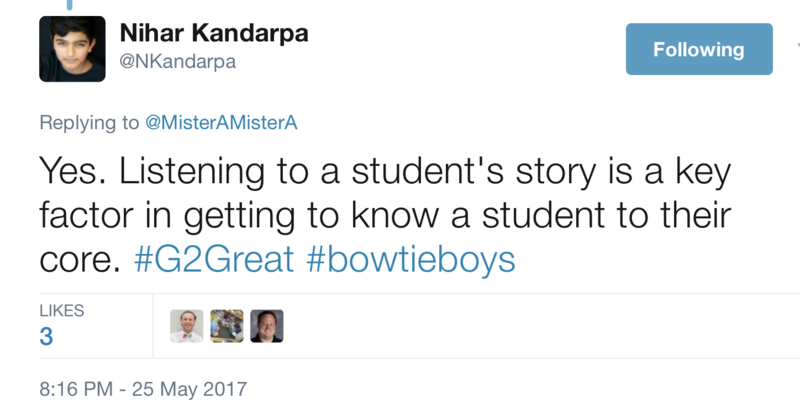 On May 25, 2017 our #G2Great family enthusiastically welcomed old friends as #BowTieBoys became our teachers in a second round of Exploring Instruction through Our Students’ Eyes. 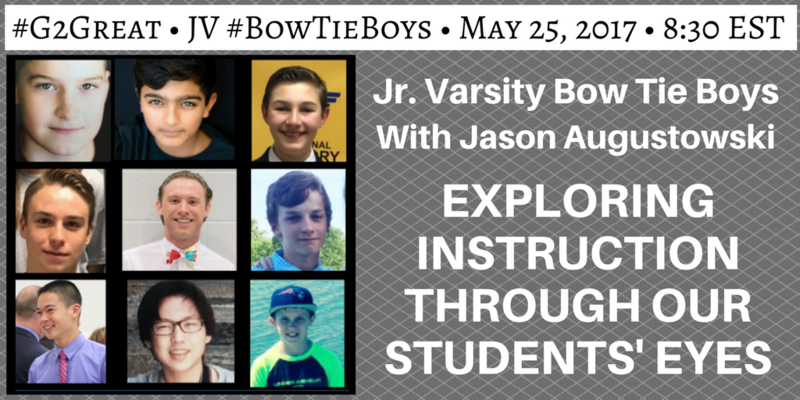 The varsity #BowTieBoys were our guests March 16, 2017 (#G2Great blog) but this week we welcomed eight amazing Junior Varsity #BowTieBoys and high school English teacher Jason Augustowski – and our eyes were opened anew. These remarkable seventh to ninth grade students happily took the #G2Great reigns, crafting and sharing their own questions based on their passion and research about teaching and learning (yes, you read that right). Their inspired questions brought our instructional lens into clearer focus, a lens sharpened by viewing teaching through the wise eyes of students. 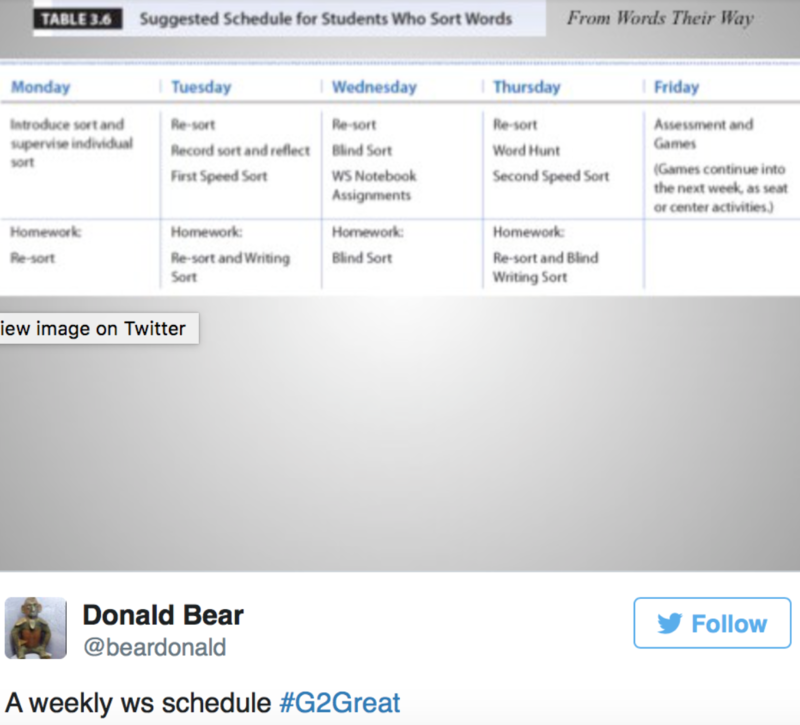 Before the #G2Great clock struck 8:30, it was clear that our teachers were as excited as we were. 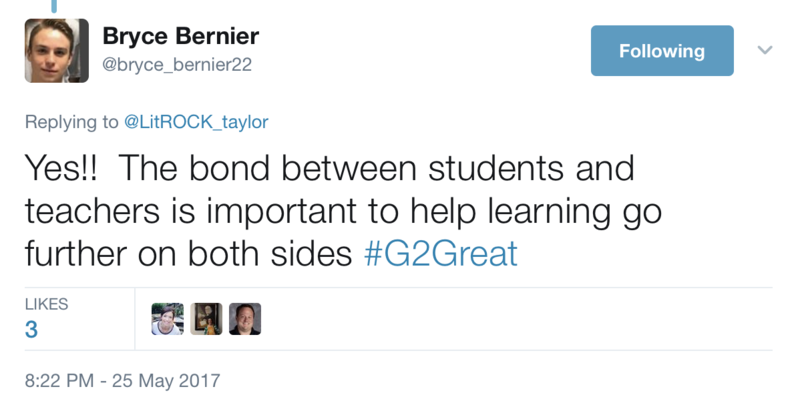 Jason illustrated why this student-teacher dialogue is so important and Twitter seemed to agree as #G2Great trended early in the chat. And so in honor of our INCREDIBLE EIGHT, I’ll spotlight each question posed by our thought leaders with their words followed by my reflection on their message and themes that moved across questions. I am willing to bet that every teacher who participated in this experience walked away richer because we saw our teaching reflected in the eyes of eight amazing young men. Every teacher desires a classroom where student engagement is at the highest level. 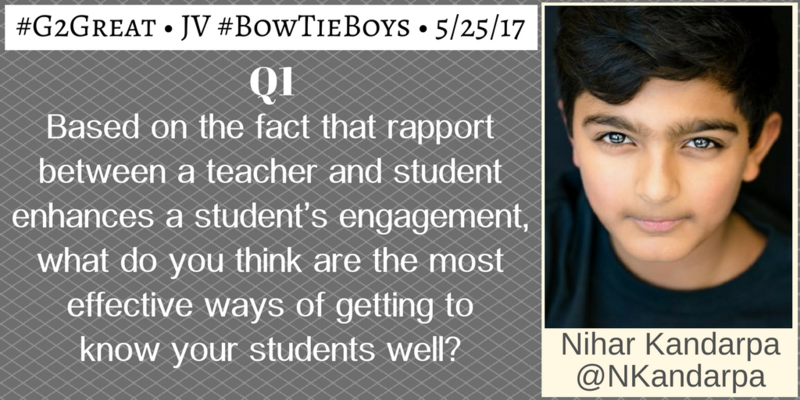 Nihar’s words drew our attention to an essential contributing factor for maximizing engagement. Engaged learning does not happen by chance. It reflects the dedicated day-to-day efforts of teachers willing to take time to know the stories each student brings to the learning experience. Our belief in their stories and sharing our own opens the door for a two-way venture into respectful relationships that extend beyond our four walls. Christian’s question about the role of technology is on the mind of every teacher as this role has escalated across our personal and professional lives. 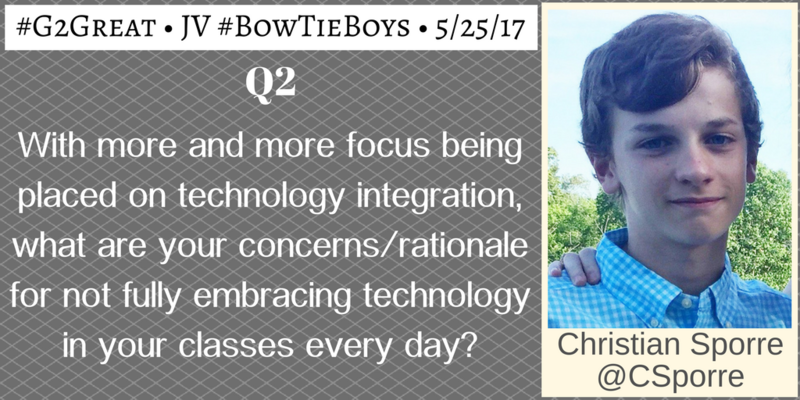 Christian acknowledged the power of WHY, emphasizing the impact of technology with purpose rather than simply for the sake of using it. His common sense balanced view of technology used with intention and purpose truly has the potential to elevate technology as the ‘icing on the cake’ of learning. Parker’s question also reflected technology but was approached from a different stance. 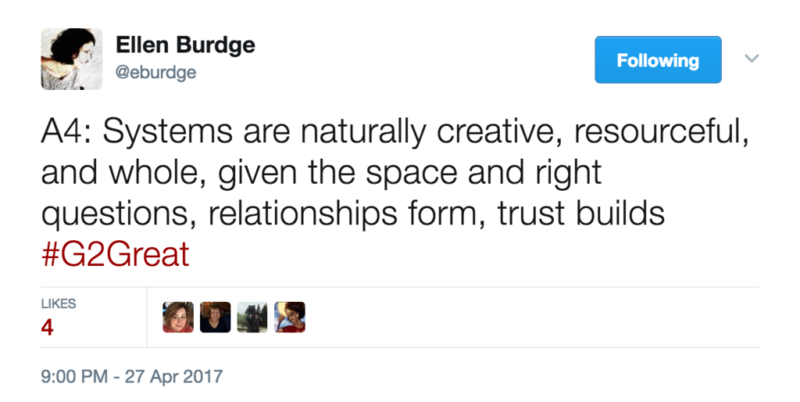 From his first tweet to the last, Parker’s deep love of books was so evident. His virtual celebration of holding a ‘real book’ in his hands inspired us all and led to tweets about the smell and feel of books as we entered a shared literary love fest. Parker celebrated the efforts of teachers as they celebrate books to promote the very book love Parker lives and breathes every day… and we were all smitten by his joy. We can all relate to Bentley’s concern for an obsession with ‘testing students to death.’ Once again, the word purposeful surfaced in our discussion and the dialogue quickly turned to assessment that has the potential to inform our practices. Bentley’s focus on teaching students to think was an important point as he helped us focus on assessment that allows us to take a closer look at student thinking within the context of authentic learning experiences. 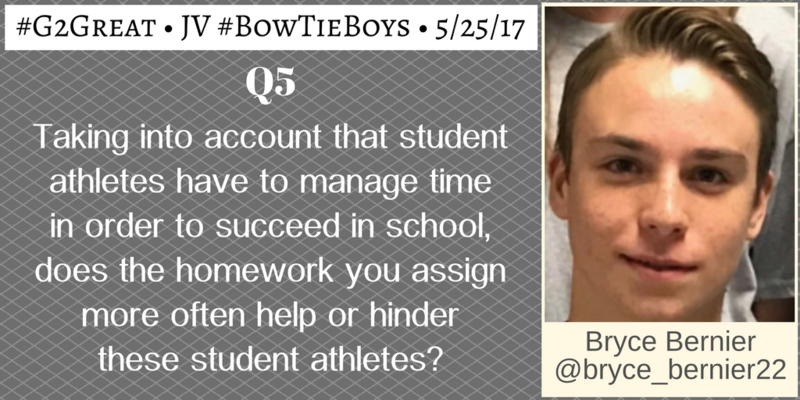 As a student athlete, Bryce opened our eyes to the impact homework can have on schedules that are already brimming to full. The discussion extended to many reasons this can negatively impact students. He posed a timely question considering the renewed concern about the value of homework while inviting student voices into the discussion added a new perspective. His words about the ‘bond between students and teachers’ reminds us that our willingness to see the homework issue from their side as well as ours is paramount as we view homework from every angle rather than just our own. 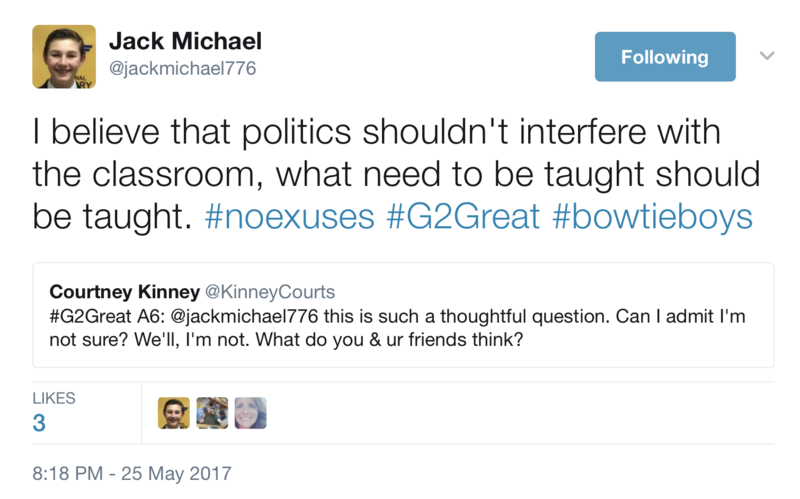 Jack raised a unique question as teacher unions have come into question. Jack’s honest sense of curiosity reflected an open mind for both sides of the issue. In an age where politics and education have become a serious concern, we share his sentiment that politics should not ‘interfere’ with learning. 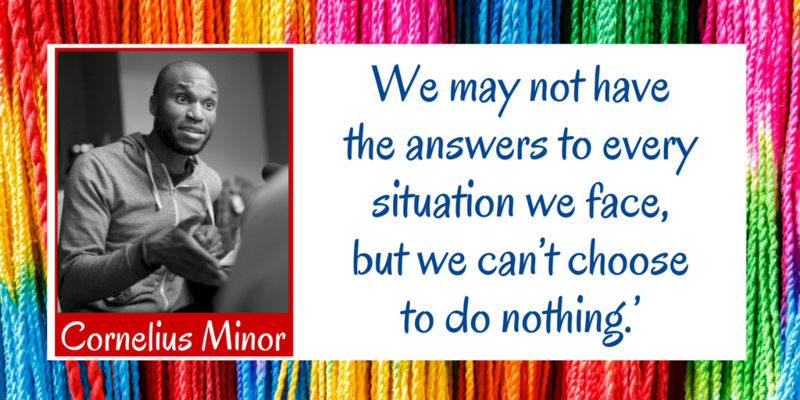 We also acknowledge our responsibility to be accountable for our own teaching. 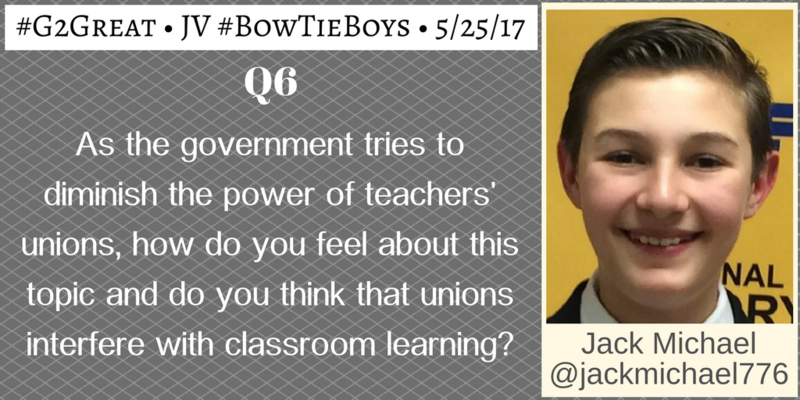 Jack’s question is important since anything that has potential to interfere with teaching and learning should be heavy on our minds. 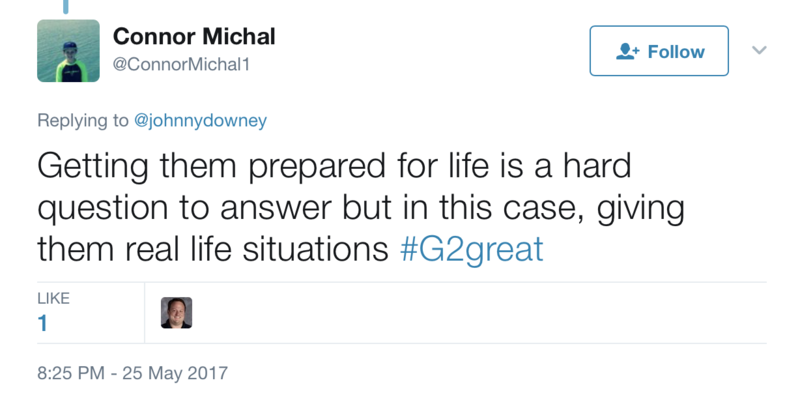 As I looked back at tweets and questions, several themes emerged. Purpose was a major theme as Brian brought our attention to the role of ‘purposeful teaching’ and took us full circle back to the issue of engagement posed in question 1. 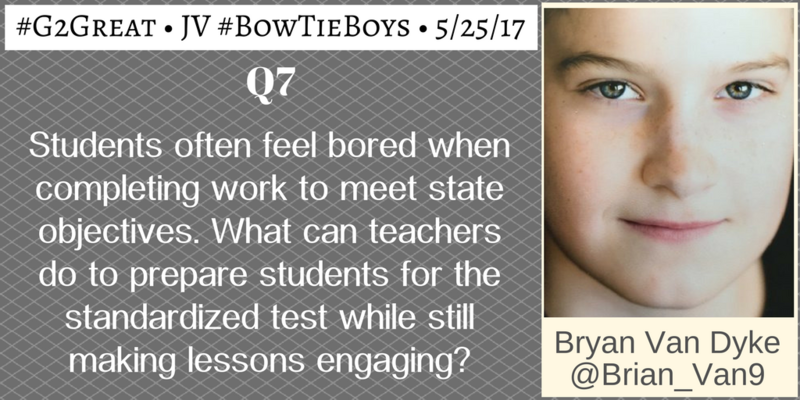 He shared how his own sense of engagement increases through purposeful teaching leading to topics and projects that reflect interest. It would be difficult to argue motivation and engagement as inseparable features of engaged learning so this was a relevant message. 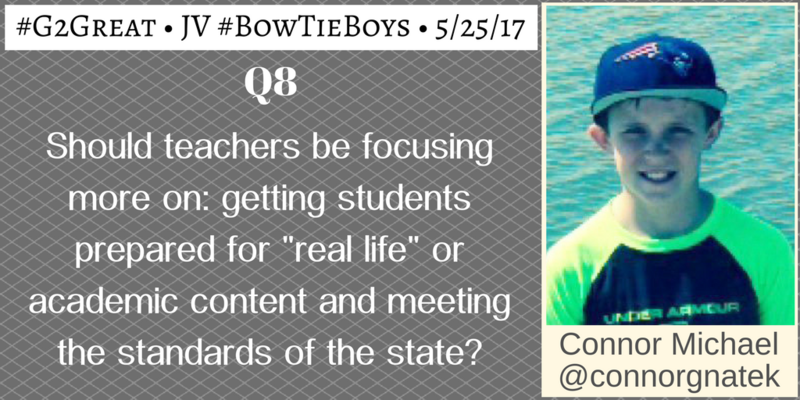 Connor’s question kept our sights on standards but shifted our attention on standards as a springboard to real life learning. He again emphasized that interest can significantly impact learning and revisited engagement in the discussion mix. His suggestion to offer learning experiences that bring students into real life situations highlights the value of celebrating the learning students will carry with them long after they leave our four walls. Moving from the ‘school’ thing to the ‘life’ thing is a goal that should always be at the forefront of our minds. 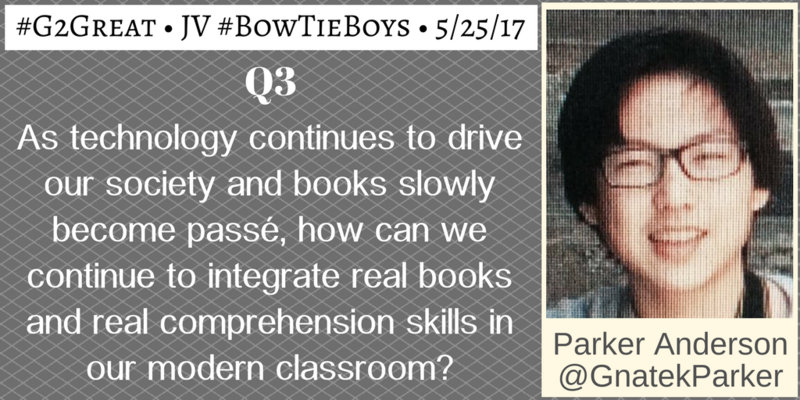 As I look back at our #G2Great – #BowTieBoys collaboration I am again inspired by the conversational atmosphere where questions flowed freely. Questions were not posed to seek ‘answers’ but to engage in an exploration of possibilities. Our shared curiosity about teaching and learning allowed each of us to comfortably move from teacher to learner as we stepped over any preconceived teaching-learning lines that could have divided us. By moving beyond our own perspectives we were able to embrace the perspectives of others and for one hour we became co-collaborators eager to understand the bigger picture. We need to continue a collective merger of student-teacher voices. We need our students to understand teaching from our side and we need to understand learning from theirs. Bringing our two worlds together affords us an opportunity to broaden our view of both teaching and learning in dramatic and powerful ways. 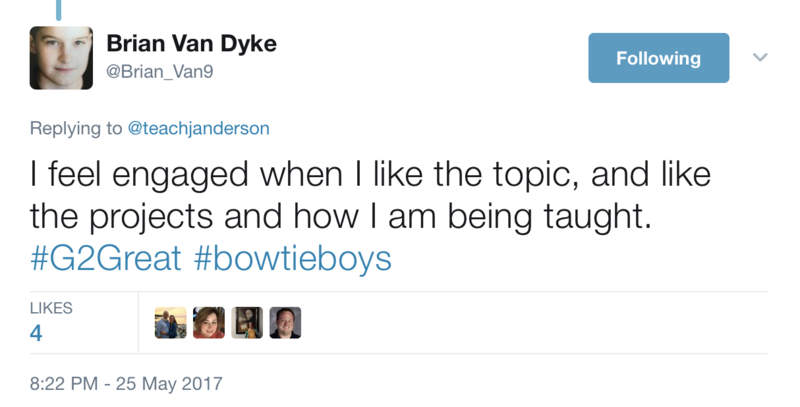 So why do we keep our #G2Great door open to the magnificent #BowTieBoys? Well Jason Augustowski eloquently answered that question in his tweet. 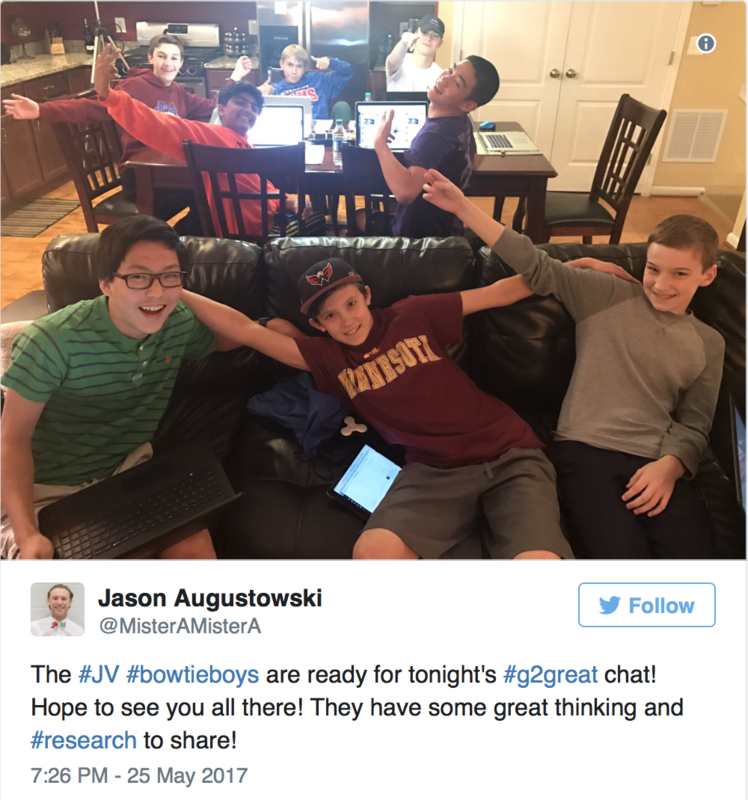 #G2Great invited these incredible young men and educators flocked to learn from them based on our commitment to teaching and learning. 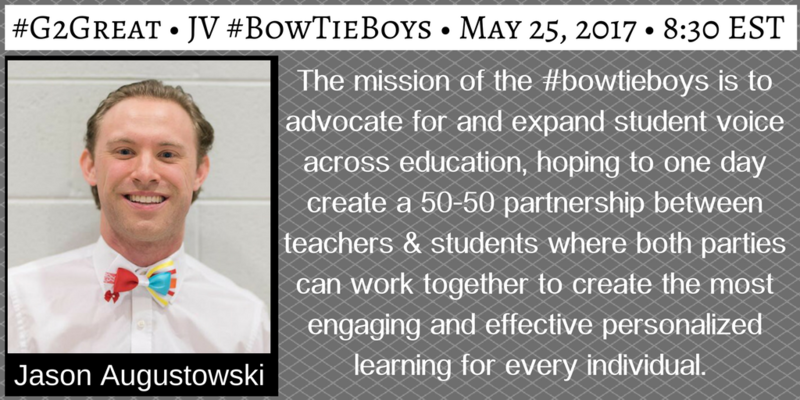 Thank you #BowTieBoys for helping #G2Great educators bring Longfellow’s words to life! Teachers embrace talk because it is foundational for creating community. A good conversation grants us access to higher levels of understanding. 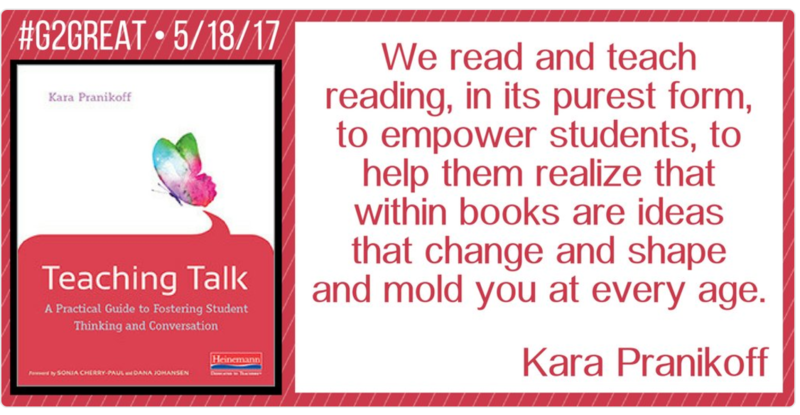 On May 18, 2017 Kara Pranikoff hosted #G2Great to discuss her new book, Teaching Talk, A Practical Guide to Fostering Student Thinking and Conversation and we explored ways to leverage talk to develop greater sophistication for how to use talk to bolster thinking and learning in the classroom. Bridging research to classroom practice is the heart of Mary’s book, Good To Great Teaching . When we say “yes” to research, the next thing to do is to make our classrooms home to action research. We are all approaching the end of a school year, and now is the perfect time to try out some of the practices we are learning about during our #G2Great chats so we can finish strong and use what we learn in the year ahead. Jenny and Kara inspired me to think about and adjust my own practices. First I will more intentionally offer explicit models to increase student engagement within collaborative dialogue and second I will keep a concrete reference of that dialogue use as an instructional springboard to next steps. The following is a transcript of an exchange between a partnership. The transcript is from two students discussing the benefits of using Thinking Tracks. Thinking Tracks is a tool I created, after attending a Summer Reading Institute at the Reading and Writing Project. The intention for the tool is to help students annotate texts quickly. What did my transcriptions do for me as a professional willing to shift my stance as a learner? It shows me that both students have a strong understanding for how to use the tool. It shows me that Daniela is learning how to integrate academic talk into her conversational speech. This conversation gives me some insights as to the kinds of language standards I might want to lean into. I can see that multisyllabic words, even familiar ones, might be still challenging to read flexibility. I can use this conversation as mentor text to teach other students how to use the tool in a number of ways! I can read it aloud to the rest of the class, or even next year’s class to demonstrate the value of the tool by pairing that with a copy of Donal Crew’s Shortcuts. I can leave a copy of the transcript for students to read and annotate in a write around. Just the act of transcribing their conversation sends a strong message to my students, we value talk here. It elevates their conversations to a new level of importance. They begin to see each other as a source of information to learn from. Wow! 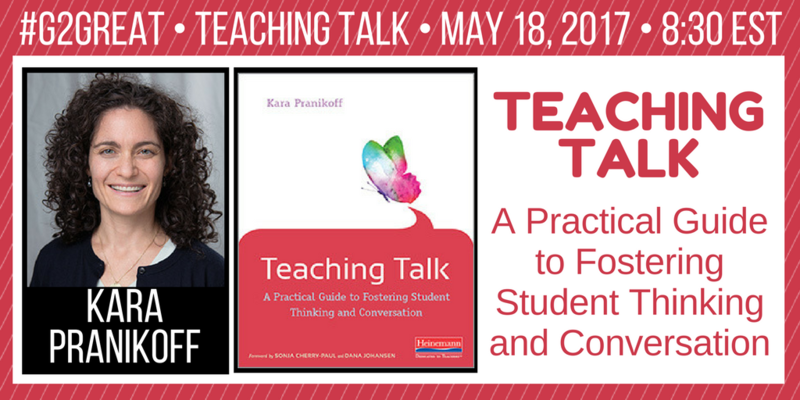 I am grateful that Kara has elevated my own thinking about talk and I am going to use these points and her phenomenal book to fine tune my thinking this summer. Yes, this just the beginning of my learning and I invite you to join me so we can all delve deeper into her remarkable thinking. If you are reading this blog, you are the kind of teacher who is on a constant journey to bring your good classroom practices to great ones. It is every author’s hope that their work will inspire ours. When we read a professional book we are entering into a partnership that aspires to empower learning and benefit the intellectual world that we create for our students. We are co-creating a better opportunities for ourselves and our students. Happy reading. 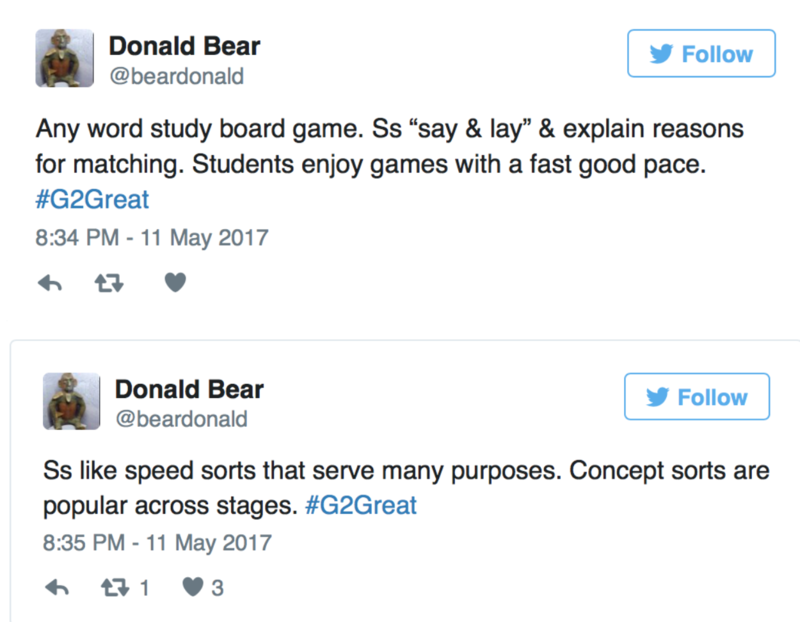 On May 11, 2017 #G2Great welcomed my word hero, Donald Bear. Donald Bear joined our chat and he led us through a discussion about word study with students at the center. Words Their Way describes the purpose of word study “…to examine words in order to reveal consistencies within our written language system and to help students master the recognition, spelling, and meaning of specific words.” Words Their Way is a developmental approach to word study inclusive of spelling, phonics and vocabulary. 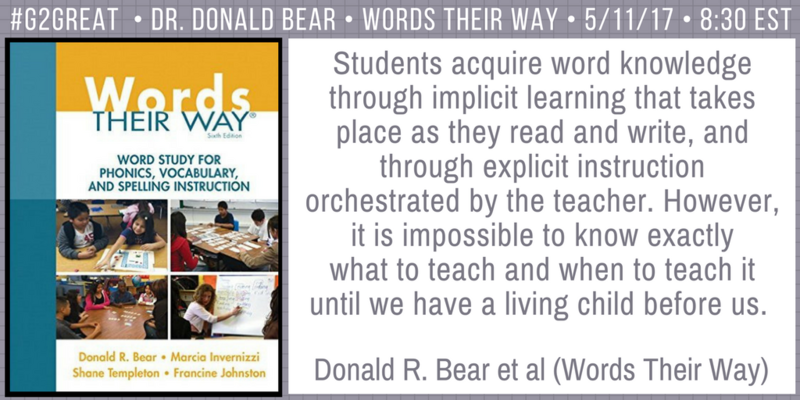 This is interwoven in a balanced literacy approach to literacy and invites students to inquire, manipulate, recognize, spell and understand words. For students word study is developmental, students move through distinct stages as they learn about words. 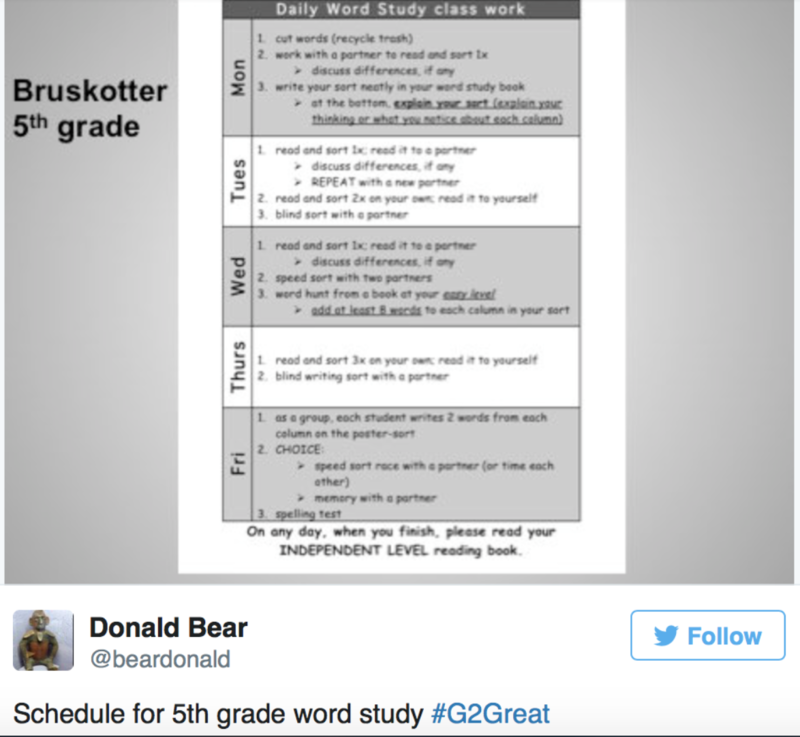 Using Words Their Way teachers begin with an assessment that resembles a traditional spelling test. The teacher says the word, a sentence with the word in it and repeats the words again. 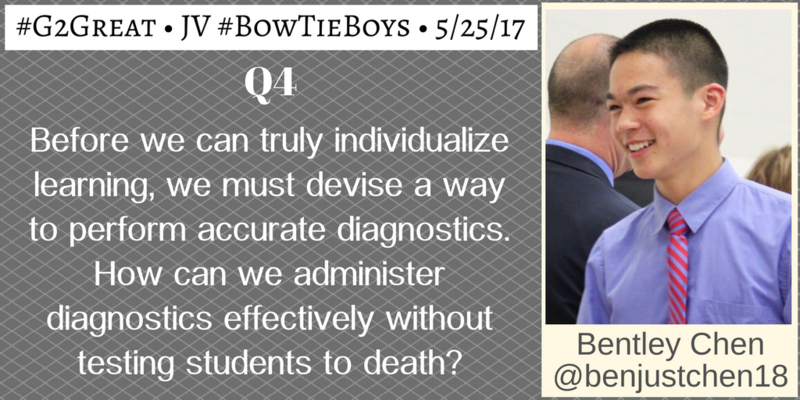 What makes this test different is that the words a carefully selected to identify the developmental spelling stage that the student is in. This is useful because it informs instruction, showing a teacher precisely where to begin word study instruction. Students engage in inquiry. Students are involved in a hands-on way where they are sorting words and checking them with a partner. They reflect by declaring or stating what they believe the letter, pattern or meaning is based on the sorting and then comparing and contrasting the words in the sort. Students then extend this by engaging in activities at their seats or at home. This can be in a variety of forms such as; a variety of sorting activites, games, cutting and pasting, using a word study notebook or making word charts. These hands on activities provide for collaboration where students are exploring and discovering words. Students have opportunities to work in pairs, small groups or individual activities. 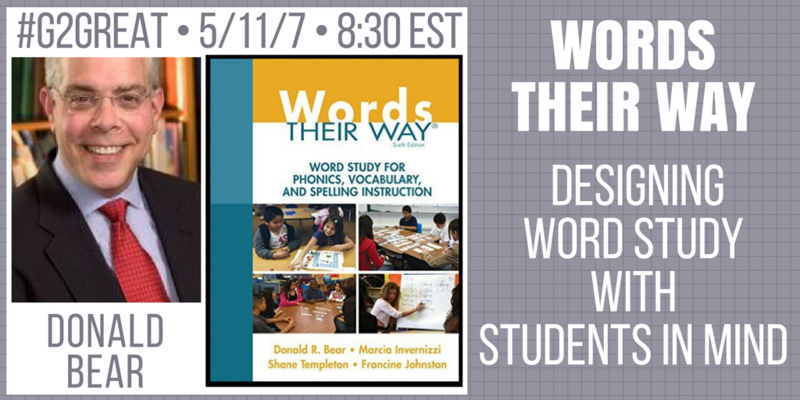 A student centered classroom where word study is part of the balanced literacy approach is a classroom that is alive with discussion and discovery as students learn about words, whether at the alphabet level, pattern, or meaning level. One of the challenges of word study is there is so much to know about words and it is one part of the balanced literacy day. The key for teachers is to approach word study with a sense curiosity about words. Embracing some word joy as you watch students discover words as you guide them will support teaching and learning. 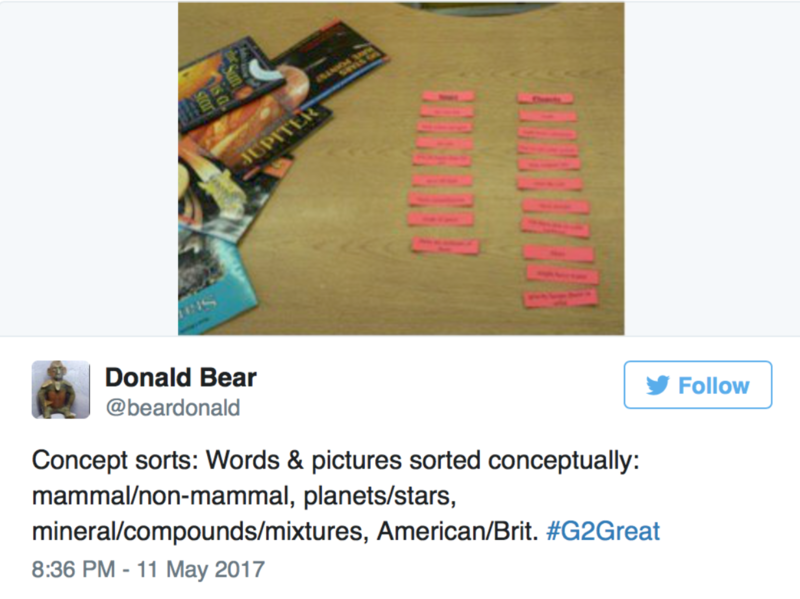 Being open to learning with each new sort will allow for students to engage in rich discussion as they consider different rationales for why words are sorted in one way or another. Teachers of word study understand the reciprocal nature of reading and writing as well as the synchrony among reading, writing and spelling development and instruction. Word study therefore cannot only happen during an isolated word study block, but it must be integrated throughout the day. In writing workshop, reading workshop, read-aloud and even the content areas there are opportunities for students to play with the words or features of words they explored in their Words Their Way sorts. The word study lesson begins with the teacher demonstrating and introducing the sort using key words or pictures. Turning the lesson over to the students, allowing them to inquire about the words, noticing and naming patterns allowing discourse around any possibility related to the phonology (alphabet), orthography (pattern) or morphology (meaning) is where students begin to develop word recognition, spelling, and vocabulary creating a positive impact on their reading. Teaching and learning is one profession where every stakeholder around us has experience watching or participating in for at least 12 years of their own lives. Parents and teachers has imprinted in their memories what teaching and learning meant, likely when they recall their memories of their favorite teachers or how they learned spelling. These memories are imprinted into their minds and unfortunately do not account for any later researched ideas about how the brain learns. The fact is that we know a lot more now than we did when we were in school or when our students’parents were in school. Additionally, because it “worked” for one of us does not mean it worked for all of us. That being said, we have to acknowledge that when we talk about learning about spelling we need to provide not only strong professional development for teachers, but also support for parents, knowing their brains will be predisposed to resist these ideas about spelling because they are different than their knowledge of how they learned to spell. Exposure, experience and time are necessary to change the perspectives of parents so that they can see the benefit in learning about spelling through this developmentally appropriate approach. When parents see the learning, when they see their children experiencing word joy and learning 10 more words rather than one at a time, ideas will begin to change around the teaching and learning of phonics, spelling, and vocabulary. Donald Bear offers so much in the world of phonics, spelling and vocabulary and shows us just how critical these are to developing strong readers and writers. 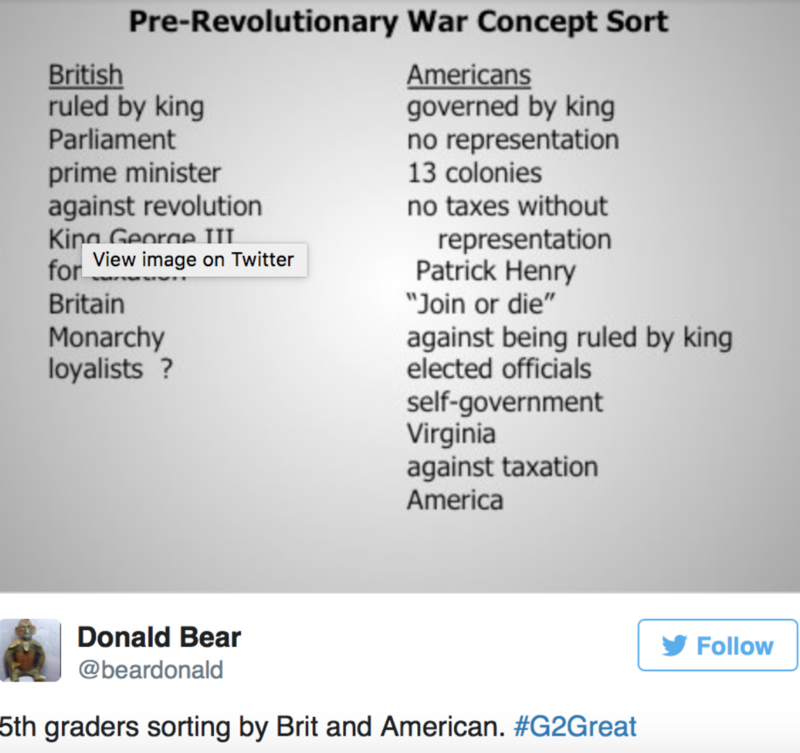 Be sure to check out Donald Bear’s website as well as some of his favorite websites. 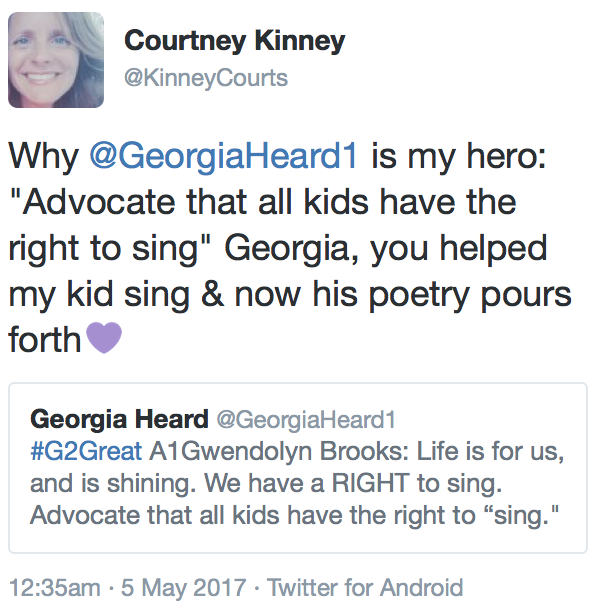 May 4, 2017 will live in my mind as a very special day on #G2Great. On this day we welcomed remarkable Cornelius Minor and Courtney Kinney as we joined forces in a celebration of Brilliant Tapestries: Building Classrooms that Reflect the Lives of the Children Who Inhabit Them. This topic is near and dear to every educator who is committed to the very heart and soul of all we do – our children. The colorful threads of our Brilliant Tapestry symbolize our responsibility to be relentless advocates for every child who enters our classroom. Cornelius and Courtney are widely known as student advocacy leaders so we were hungry for their message of hope, evidenced when our conversation quickly trended on Twitter. For one inspirational hour, they became our teachers and we were willing students eager to soak in their wisdom. The energy was palpable as we formed a community of kindred advocacy spirits where our hearts and minds intersected in a joyful expedition of Brilliant Tapestries. Our #G2Great educators reflect varying stages in their advocacy journey so for some this journey is in the early stages. #G2Great educators willingness to engage in this discussion represents their sense of advocacy urgency but this is also accompanied by equal parts of trepidation as we consider where to begin such expansive work. It is this breadth, however, that makes first steps even more important as those initial steps can offer an entry point for what follows. We can no longer afford to turn a blind eye to the children who enter our classrooms and our responsibility to acknowledge and honor the identities each of them bring to the learning table. We must sharpen our professional lens to truly see the unique identities in front of us so that we can begin to ‘cultivate’ community. It is only when we can celebrate every colorful thread in each child’s life tapestry that we will embrace those identities with an open heart knowing that each distinct thread adds to the beauty of our Brilliant Tapestries. Once we acknowledge the Brilliant Tapestries that inhabit our classrooms, we must then begin the change process that will allow us to truly create a culture of inclusivity that celebrates each child. To do this, we must begin by accepting our professional and ethical responsibility to children by recognizing that the structural systems in place are inadequate to make the significant changes we know are necessary. Once we do this we can begin to create new systems that will support our efforts to celebrate our Brilliant Tapestries. For too long, identity has been narrowly defined by color, gender, race or even financial status. We cannot truly see children as long as we focus on narrow descriptors of what we deem defines them. If we look closely, we will find that the identity they bring to our classrooms extends far beyond a label confined to a single descriptor. When we take time and effort to know children at a deeper level, varied identities begin to gloriously emerge both within and beyond our school walls as each one adds to our Brilliant Tapestry. While these are important first steps, we will never truly create the inclusive classrooms our children deserve until we invite students into the conversation. Simply acknowledging that diversity exists is not enough. Inclusive assumes that we empower our students by lifting up their voices in ways that will give them choice, voice, and agency. And lifting up their voices means that we must truly hear them in order for our classrooms to change in any substantive way. Their voices are interwoven in our Brilliant Tapestries and bring it to life. Embracing inclusive classrooms is certainly another important step in that journey but this means that we must move beyond our classroom doors. Embracing inclusivity is not limited by the life students live in our school but extends to the life they live beyond our schools. It is important that we don’t simply depend on formal structures to engage students and parents but find informal ways to demonstrate our role as ‘fierce and unapologetic advocates’ from both sides. Brilliant Tapestries reflect each aspect of our students’ lives. We cannot create inclusive classrooms by simply giving lip service to the process of inclusivity. Rather we begin by planting the seeds that will create classrooms rooted in respect based on relationships we build with children in and beyond our school setting. Those relationship are not simply the ones that we build between teacher and students but extend to peers and community. These respectful relationships are reflected in our words and actions as we listen to and interact with students in ways that honor our Brilliant Tapestries. 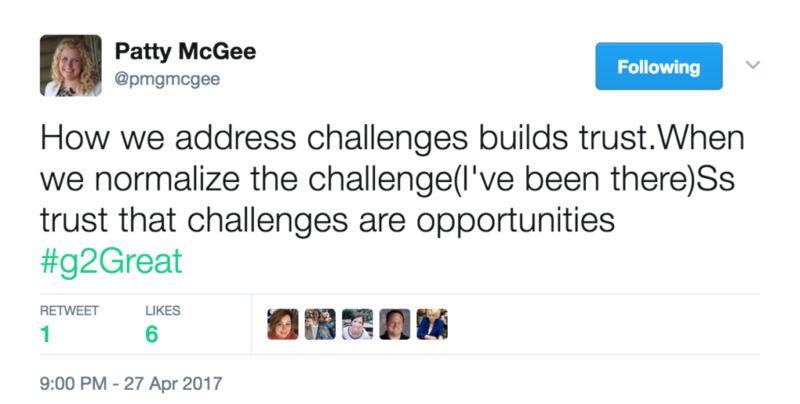 This important work can seem so expansive that it’s tempting to want change to happen overnight. But time can be our greatest gift as we begin by creating classrooms where our children feel safe while acknowledging that we may well be their only safe haven. Creating a safe classroom culture takes time and in some cases may require undoing damage already done. We must ensure ‘safe’ is not just in our minds but also in the minds of the children who inhabit our classrooms. We strengthen the threads of Brilliant Tapestries by strengthening the foundation that supports those threads. We have become complacent about how we define ‘normal’ and often based on our own sense of normal. Welcoming new students into our classrooms year after year requires us to see a new normal that is inclusive of every child in that classroom in that year. 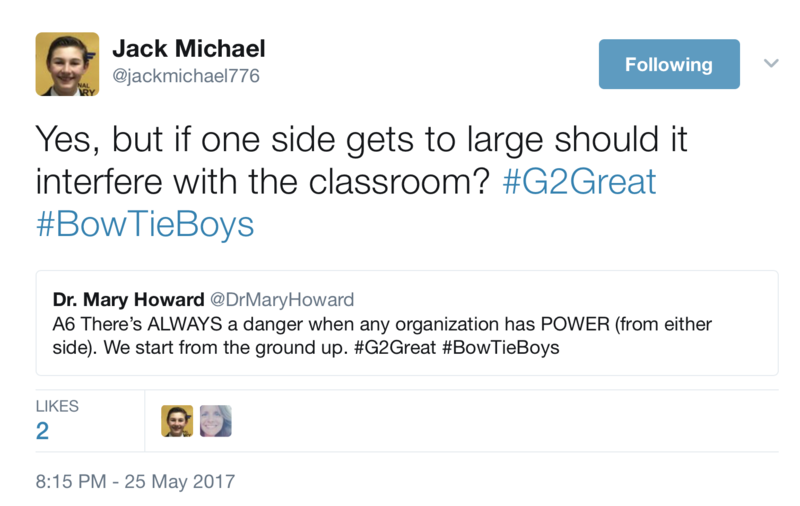 The educators participating in #G2Great received a hefty dose of brave, but we must initiate these same brave conversations in our schools. Our conversational journey was a supportive one – the same journey schools need as they redefine normal and create inclusive classroom. We will only truly celebrate our Brilliant Tapestries when this spirit can spreads across every classroom in every school. 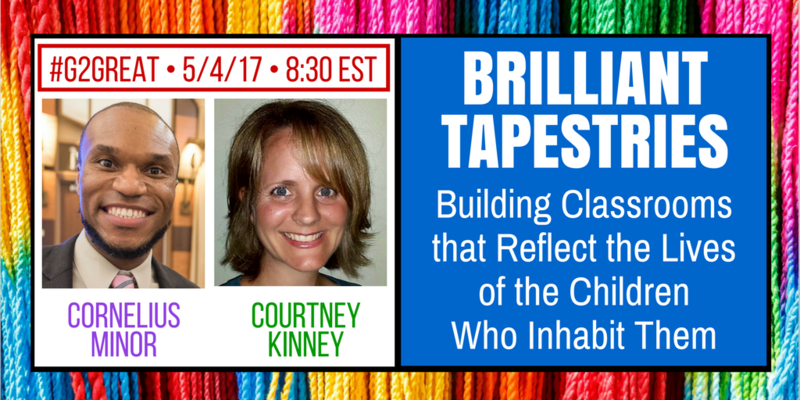 As each of us launches a personal and professional journey of choosing to do something to celebrate Beautiful Tapestries that inhabit our classroom, we can begin with honest introspection. Will we be proud of the choices we have made as educators? Will we be able to say with unwavering certainty that the something we did made our instructional world a better place and afforded our children a brighter future within and beyond our school walls? I am grateful to our advocacy leaders, Cornelius and Courtney, for initiating the conversation that will illuminate our way as we bravely forge our own path along a shared journey of commitment to fiercely advocate for our students. How can we step outside of the tapestry of our own lives and embrace the Brilliant Tapestries that connect us all? 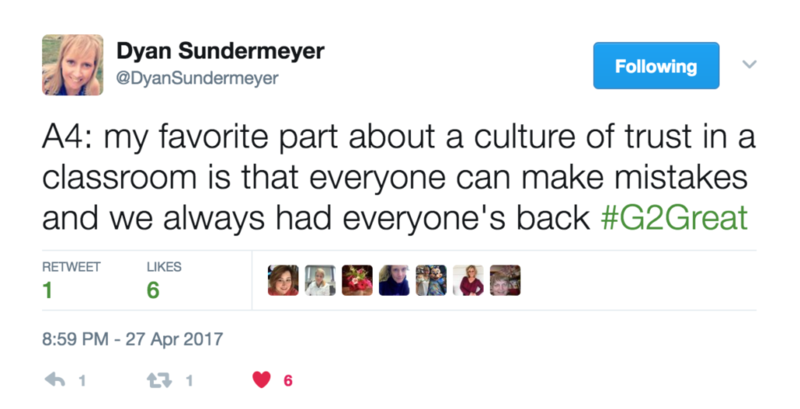 **Mary, I really want to center the posts from Kid Writers first—they are the most important voices. 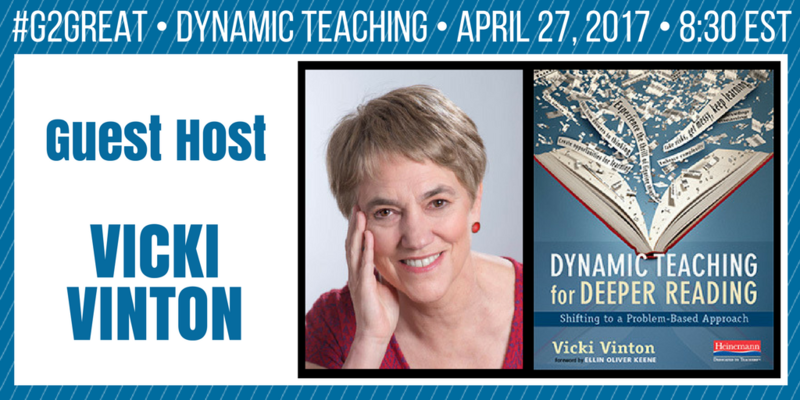 When Vicki Vinton agreed to join #G2Great on April 27, 2017 to talk about her new book, Dynamic Teaching for Deeper Reading: Shifting to a Problem Based Approach, we knew her message would resonate. We knew her words would fill us up and give us the energy that would keep us going at a time in the year when we need it most. Her message speaks to the untapped potential as we strive to trust in ourselves, our students, and in the reading process itself. This is just what we do; we are teachers who try to see the good around each corner so we may add to the collective knowledge of our community, one where hope overflows. 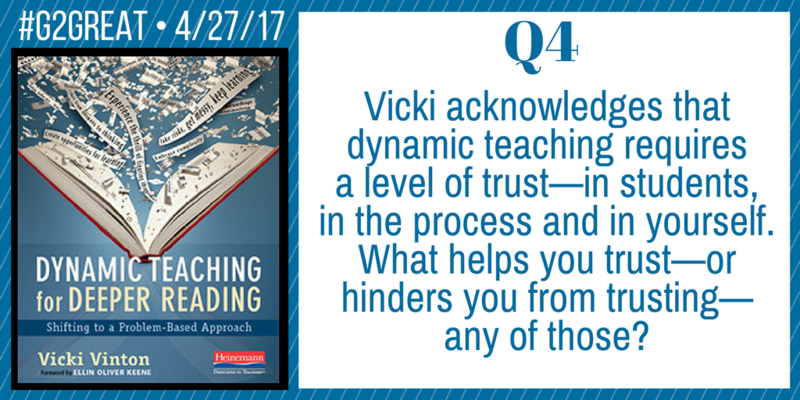 That is what Vicki Vinton did as she turned on a light and revealed how trust can transform our practice to dynamic teaching. Why did you become a teacher? Each of us reading this post right now came to teaching in our own time and our own way. While there are so many paths that lead us to this moment in our careers, there are bonds that bind us together. 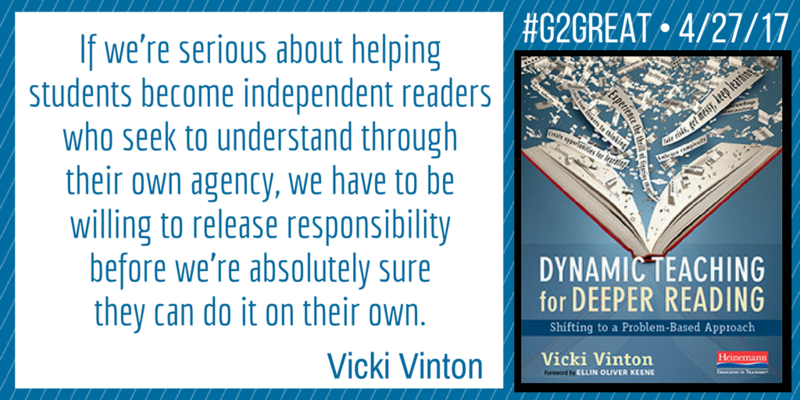 When I think about the kinds of teachers who belong to the #G2Great PLN I am convinced that they are in fact dynamic teachers. The dynamic teacher seeks out and embraces the changing nature of our work and is constantly looking for inroads for progress. Whether we are just starting out on the journey, have been in it for a long time, or are somewhere in the middle, it is necessary to be wholly optimistic and trust in our abilities and in our students. Teaching is complex work. 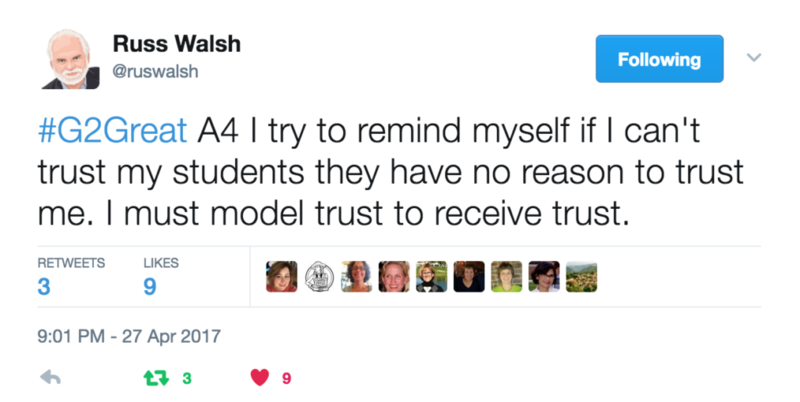 There is so much to consider and it would be easy to overlook how important trust is to the work we do with students. We are so grateful that Vicki began this conversation so that we would discover these four levels of trust. We are so grateful to have her in the lead, asking the questions that make us dig deeper so we can be the best most responsive teachers we can be, because our students are worth it.